Once a week they go to the house of a wonderful seamstress and friend..Cindy arndt. 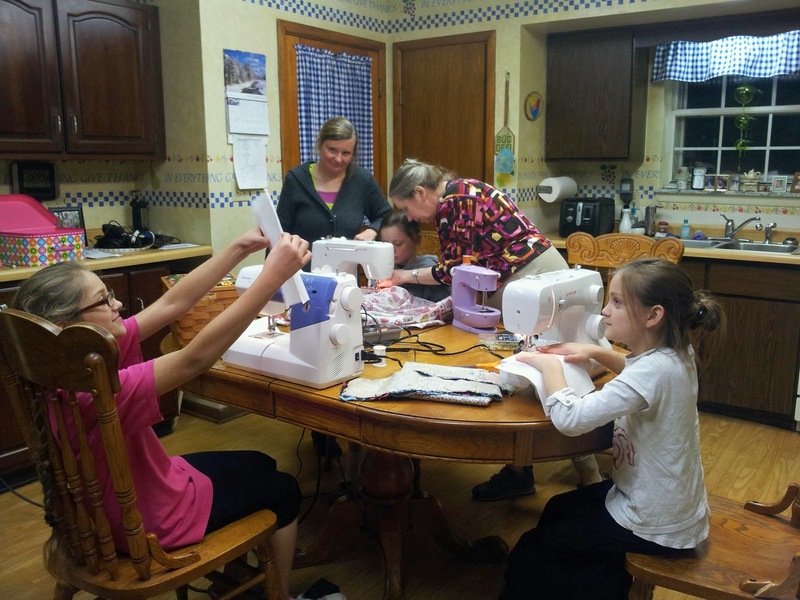 She is coaching them through the whole process...from threading different machines to cutting out patterns, troubleshooting machine issues, threading a bobbin, sewing straight lines without sewing your fingers...well that's how far they've gotten so far. They are making aprons! 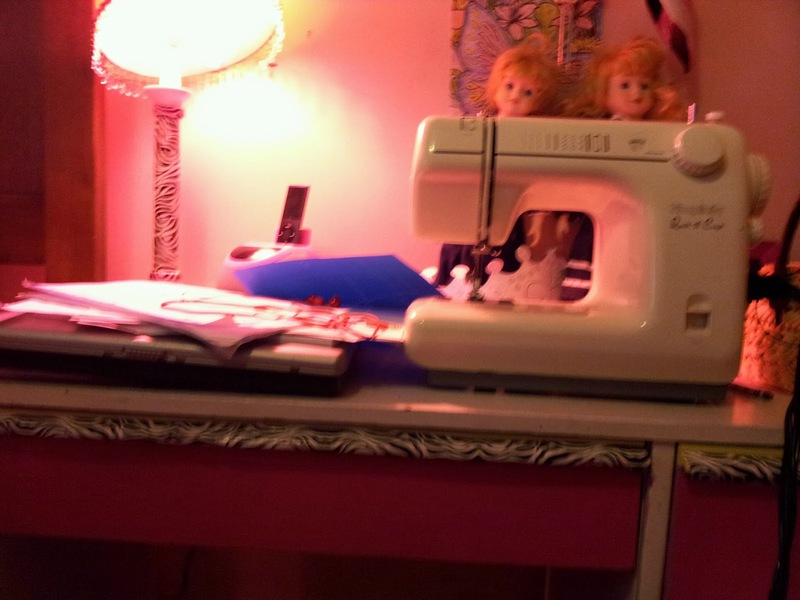 O know how to sew. Kindof. 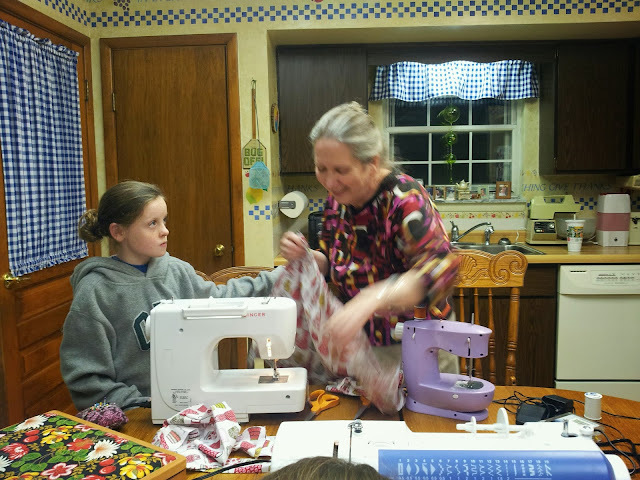 But I haven't sewn with a machine in years and am no expert. And would not trust myself to explain the mysteries of a pattern. David and I think it is Cool to use the skills of people around us to teach our kids in areas where we arent much foodd and I'm glad this worked out. Someone has offered to help caiden with woodworking too...hoping that will fit into the schedule too. The night we could so sewing happened to be the night the girls' friend Isabelle was already going for sewing lessons so she graciously allowed them to come on her night. 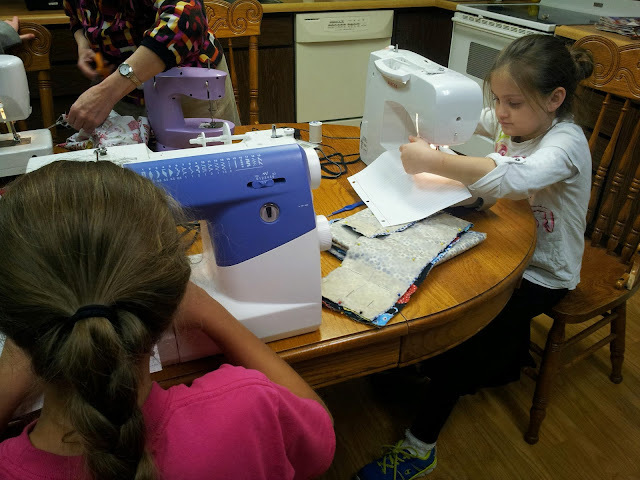 Shes already done with her first project and moving on but it makes it double fun ffor the girls to get to do of with a friend.